Circus activities stimulate concentration, perseverance, seriousness, discipline, achieving totally visible and clear, small personal victories through tecniques, besides stimulating joy, charisma, enthusiasm and self-knowledge. The circus combines personal and human improvement with a vision to the future. On the one hand it is a sport, and on the other hand it is an art. As a sport, it develops our psychomotor skills, strength and endurance. And not only physically but also mentally, it helps us to use our bodies with rare gestures, developing our self-confidence and ability to concentrate. The objective of this activity is aimed for both those who want to begin and those who want to deepen into the endless possibilities of juggling. 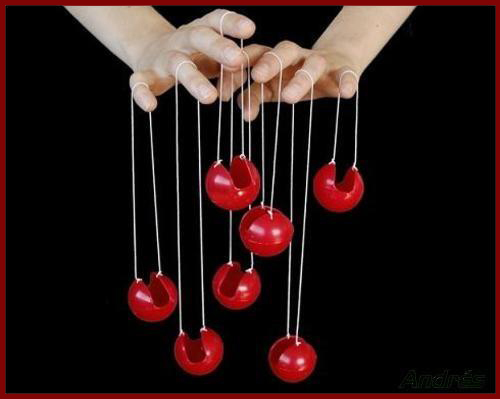 Various modalities of juggling such as balls, pins, diabolos, sticks, flags, cloth, hats, rings, bouncing balls, equilibrium and object manipulation, and other fun learning games played in pairs or in groups. No technical background knowledge is necessary. Available material: 30 balls, 30 pins, 10 diabolos, 10 flags (poi), 10 bouncing balls, 10 rings, 4 hats, 6 cloths, and 4 sticks. 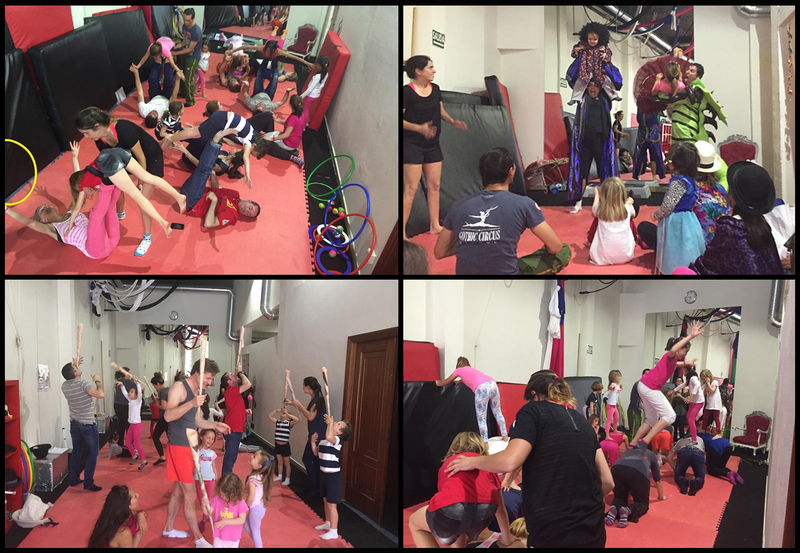 In this class of introduction to acrobatics, we learn through games and dynamics, to awaken the body and to prepare it for physical exercise. 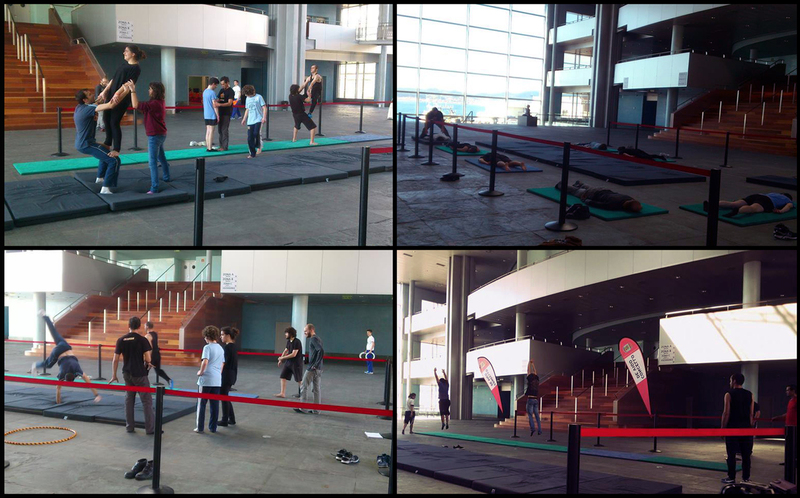 The classes apply physical preparation exercises and stretching, acroduos and equilibrium postures among more people. Basic individual floor acrobatics, such as jumps, somersaults, bridges, side stars and handstands. For the more experienced, depending on their capacity, it is applied flick flacks and mortal jump. These classes aim to provide an experience based on the clown, imagination, improvisation, theater games and the pursuit of the inner clown that is inside each one of us. 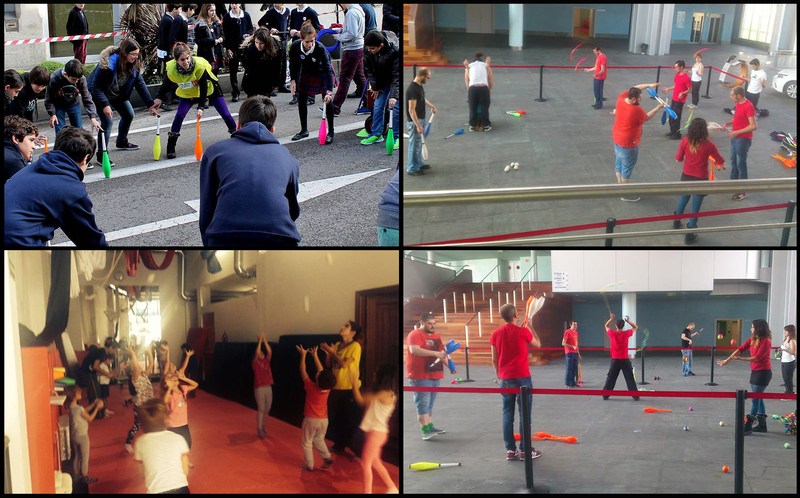 Individual and group exercises bring us closer to the fun and innocent world of the clown. Principles and basic concepts of clown techniques, stage presence, acceptance of the own ridiculousness, disinhibition, body expression, improvisation, and clown-audience relationship. Recommended for both who are new to the world of the clown, and who wish to do so, or for those who simply are curious about this art that connects us with the most honest part of ourselves. This class aims to share fun times with family and learn while playing. It is an initiation into the world of the circus where children and adults will be introduced in duo acrobatics, juggling and motor-skill games, body language, humor and laughter.